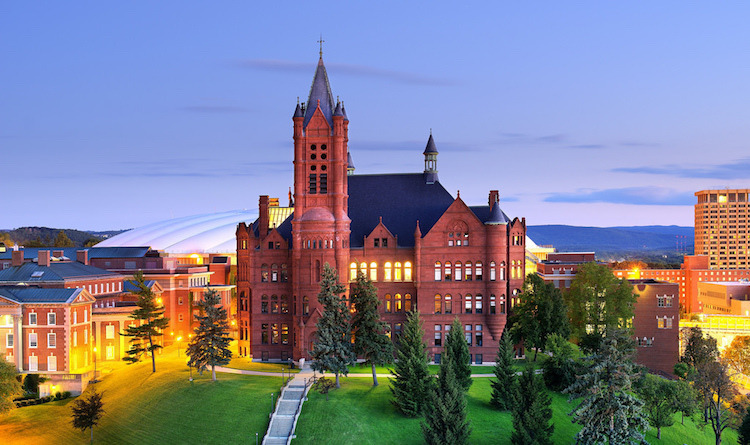 Syracuse University (familiarly known as SU, or just Syracuse) is one of the most frequently searched universities in the United States, according to a recent internet keyword search of American colleges. Syracuse is a private research university founded in 1870, and located in Syracuse, New York. The university maintains an enrollment of roughly 23,000 students each semester. About two thirds of them are studying at the undergraduate level. The university offers Bachelors degrees, Masters degrees, and PhD programs. The acceptance rate for Syracuse is somewhere around 50%. The student faculty ratio is approximately 15 to 1. Recent rankings from U.S. News and World Report places Syracuse #61 among national universities, although in the past, SU has ranked in the top 50.
Notable alumni of Syracuse University include Joe Biden (former U.S. Vice President), Eileen Collins (1st female space shuttle commander), Ernie Davis (1st African American to win a Heisman trophy), and writer Joyce Carol Oates, as well as many inventors, journalists, CEOs, and others. The university is accredited by the Middle States Commission on Higher Education. Many of the school's professional programs are accredited by their respective professional organizations. Here are the answers to some frequently asked questions about Syracuse University. 1. Where is Syracuse University? The main campus of Syracuse University is located in the city of Syracuse in upstate New York. Syracuse is located just a couple of miles southeast of Onondaga Lake, situated roughly halfway between Buffalo and Albany. Above: An aerial view of the main campus of Syracuse. Visible are the Maxwell School of Citizenship and Crouse College. 2. What is the organizational structure of Syracuse University? 3. What undergraduate studies are offered at Syracuse University? Undergraduate course offerings at Syracuse cover a wide range of topics. Above: Inside the Carnegie Library at Syracuse. 4. What graduate programs are available at Syracuse University? 5. What programs are offered at the Syracuse University Law College? The Syracuse College of Law offers hundreds of individual courses at the J.D. level, and hundreds more graduate law courses. 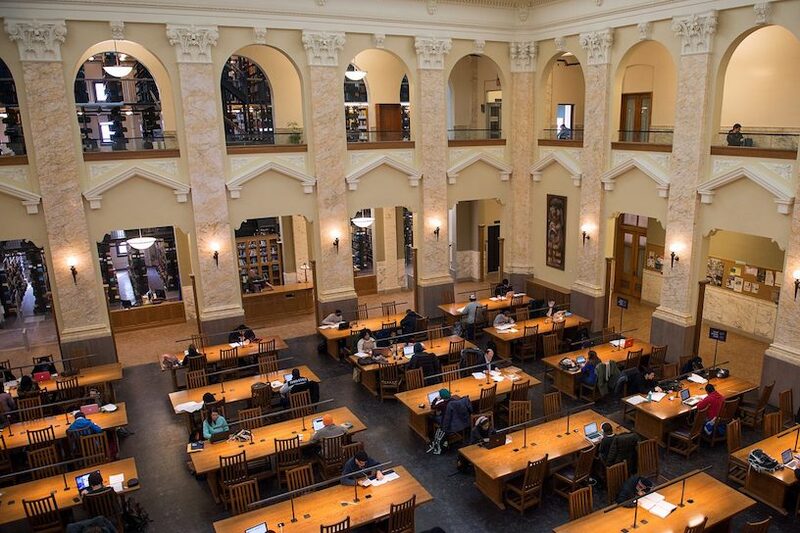 Syracuse is a leader in the field of National Security Law, but other quality legal study programs are also available. The Bar Pass rate for the Syracuse College of Law is a comfortable margin above 90%. who was also our first Republican U.S. President. 6. 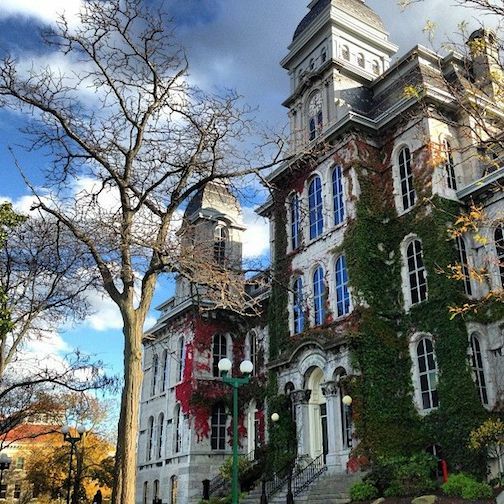 How much does it cost to attend Syracuse University? TOTAL: $67,600 in billable costs. Allow another $5,000 for books, supplies, transportation, personal expenses, and health insurance. TOTAL: $43,000 in billable costs. Again, indirect expenses (as listed above) should cost another $5,000. The tuition for a JD or LLM degree is roughly $50,000 per year for full time attendance. However, fees and personal expenses will bring the cost of attendance closer to $70,000 per year. Other fees may also apply, such as application fees, registration fees, technology fees, course fees, and so on. Financial aid is available to many incoming and continuing students, as long as they fill out the FAFSA form. Aid may be distributed in the form of grants, loans, scholarships, work study programs, or private donations. Above: The Hall of Languages at Syracuse University. 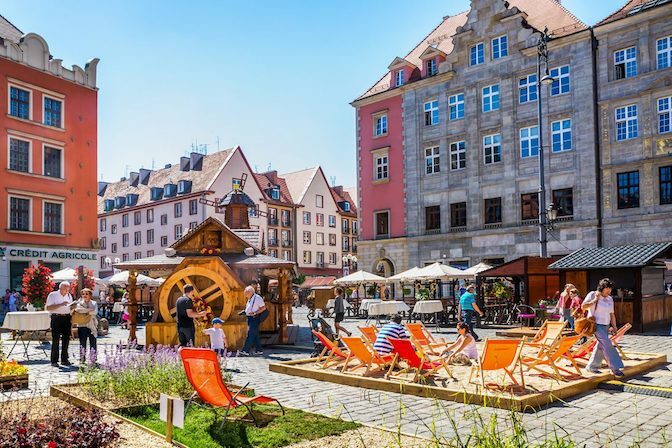 Above: A town square in Wroclaw, Poland - one of Syracuse's study-abroad destinations. 7. 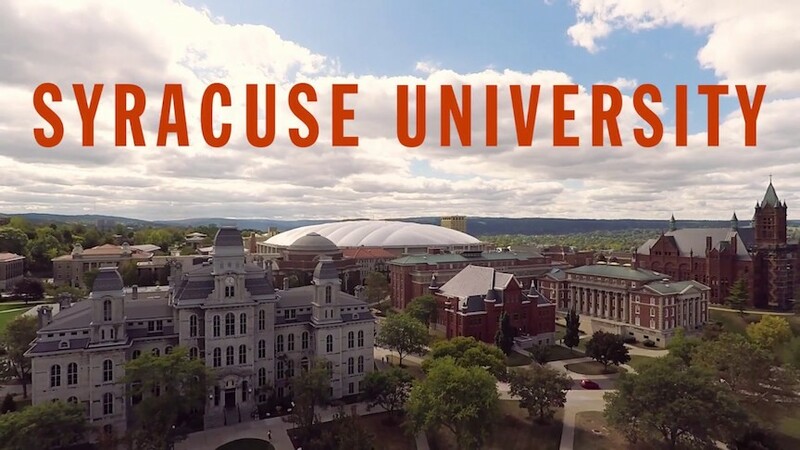 What is the Syracuse University campus like? 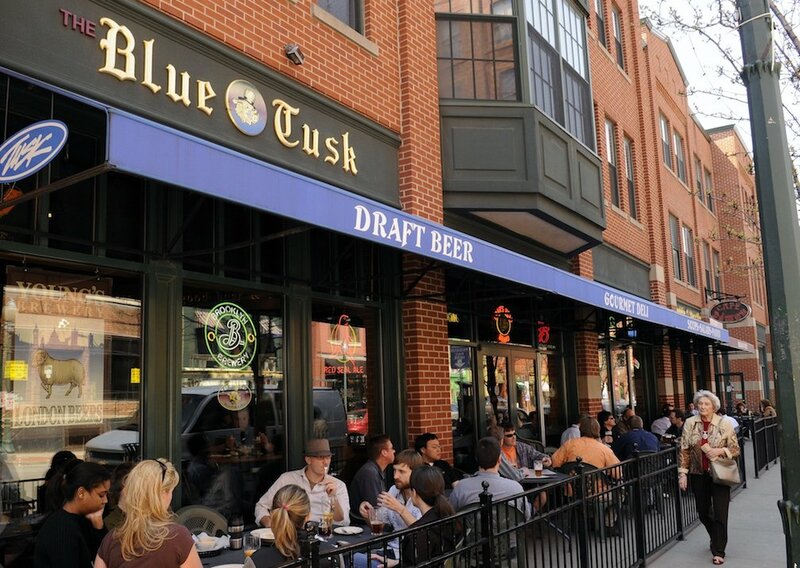 The main campus is set in the aptly named University Hill neighborhood of Syracuse. The campus spans just about 683 urban acres, and is situated less than a mile southeast of the heart of downtown Syracuse. In typical college campus fashion, Syracuse is home to academic buildings, residence halls, and a quad. The campus is characterized by an evolving array of architectural styles. 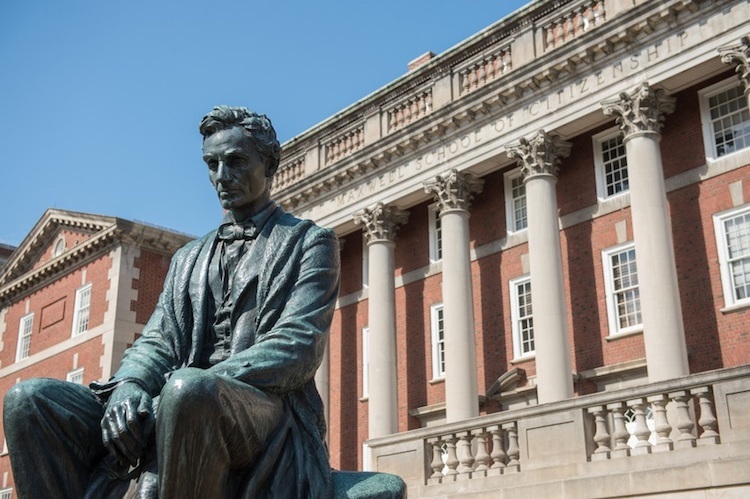 Campus landmarks and attractions include the quaint Holden Observatory, the stately Hall of Languages, the steepled Crouse College of Fine Arts, and other works of Romanesque Revival. Also featured are quite a few more modern structures, such as the streamlined Shaffer Art Building, the sleekly designed School of Public Communications, and the efficiently minimalist School of Architecture. The university also features an enviable permanent art collection of more than 45,000 pieces. Artists represented in the campus galleries include Rembrandt and Picasso, among others. A car is not needed for this area, as the town is very walkable, with a fairly well developed public transportation system. Aside from the main campus, the university has either purchased or leased no less than 12 buildings in downtown Syracuse. SU has also established physical locations in Atlanta, Los Angeles, and New York City. The school color is Orange. Naturally, the varsity athletes at Syracuse are called The Orange. They play for the NCAA, Division 1. The university is a member of the Atlantic Coast Conference (ACC), as well as the Eastern College Athletic Conference. Also available on campus are club and intramural sports, such as some of the ones listed above, as well as aerobics, badminton, fencing, and figure skating, to name a few. Apart form athletics, Syracuse offers hundreds of on-campus student organizations, in a broad range of interests. Student activity groups include an African society, a ballroom dance club, various campus publications, a campus radio station, a cooking club, a creative writing club, a drama society, a film society, and several military service organizations, just for example. 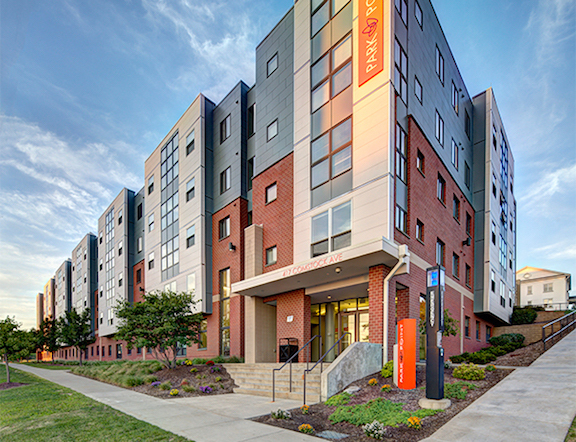 Above: Park Point - an off campus student housing complex near SU. 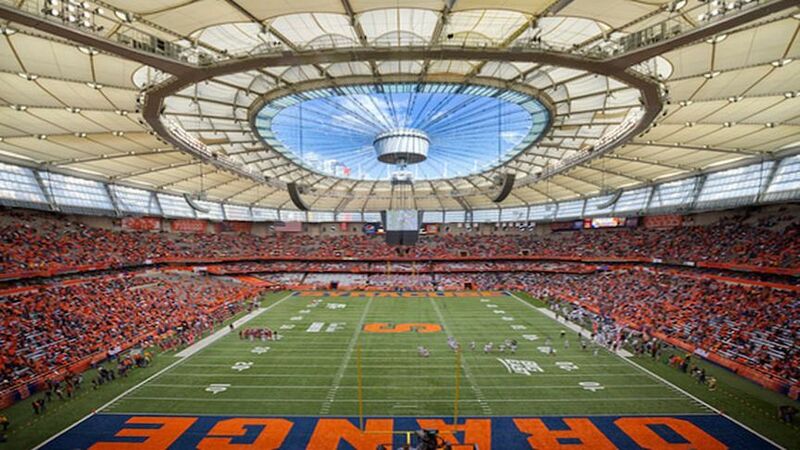 Above: The indoor football stadium at Syracuse is called the Carrier Dome. 8. What are the distance learning options at Syracuse University? Syracuse offers distance learning opportunities in many different styles and in numerous areas of interest. In fact, Syracuse is listed among America's best schools for online learning. Online classes are available at Syracuse even during summer and winter vacations. 9. What is the contact information for Syracuse University? To reach the main campus of Syracuse University, or for general information, call 315-443-1870. To contact the Undergraduate Admissions office at Syracuse, call 315-443-3611. To reach the Graduate Admissions office at Syracuse, call 315-443-4492. To inquire about Financial Aid at Syracuse, call 315-443-1513. To contact the Syracuse College of Law, call 315-443-1962. 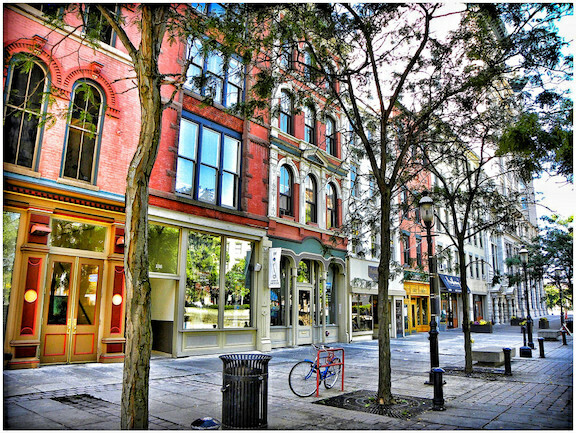 The city of Syracuse is home to roughly 150,000 people.